The U.S. Supreme Court issued its historic Brown v. Board of Education of Topeka, Kansas, 347 U.S. 483, on May 17, 1954. The decision declared all laws establishing segregated schools to be unconstitutional, and it called for the desegregation of all schools throughout the nation. After the decision, the National Association for the Advancement of Colored People (NAACP) attempted to register black students in previously all-white schools in cities throughout the South. In Little Rock, the capital city of Arkansas, the Little Rock School Board agreed to comply with the high court’s ruling. Virgil Blossom, the Superintendent of Schools, submitted a plan of gradual integration to the school board on May 24, 1955, which the board unanimously approved. The plan would be implemented during the fall of the 1957 school year, which would begin in September 1957. By 1957, the NAACP had registered nine black students to attend the previously all-white Little Rock Central High, selected on the criteria of excellent grades and attendance. The nicknamed “Little Rock Nine” consisted of Ernest Green (b. 1941), Elizabeth Eckford (b. 1941), Jefferson Thomas (1942–2010), Terrence Roberts (b. 1941), Carlotta Walls LaNier (b. 1942), Minnijean Brown (b. 1941), Gloria Ray Karlmark (b. 1942), Thelma Mothershed (b. 1940), and Melba Pattillo Beals (b. 1941). Ernest Green was the first African American to graduate from Central High School. 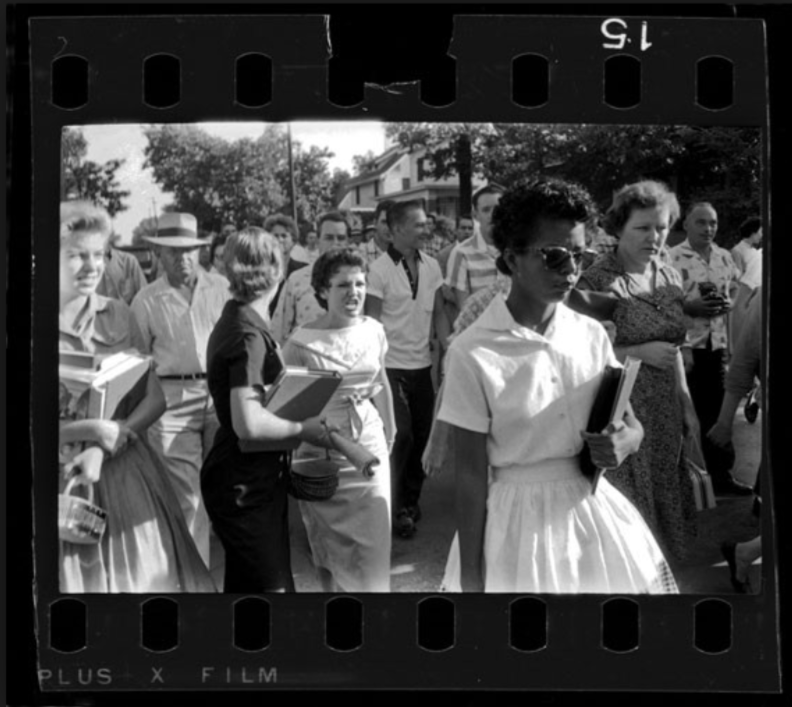 Several segregationist councils threatened to hold protests at Central High and physically block the black students from entering the school. Governor Orval Faubus deployed the Arkansas National Guard to support the segregationists on September 4, 1957. The sight of a line of soldiers blocking out the students made national headlines and polarized the nation. On September 9, the Little Rock School District issued a statement condemning the governor’s deployment of soldiers to the school, and called for a citywide prayer service on September 12. Even President Dwight Eisenhower attempted to de-escalate the situation by summoning Faubus for a meeting, warning him not to defy the Supreme Court’s ruling. Woodrow Wilson Mann, the mayor of Little Rock, asked President Eisenhower to send federal troops to enforce integration and protect the nine students. On September 24, the President ordered the 101st Airborne Division of the United States Army—without its black soldiers, who rejoined the division a month later—to Little Rock and federalized the entire 10,000-member Arkansas National Guard, taking it out of the hands of Faubus. 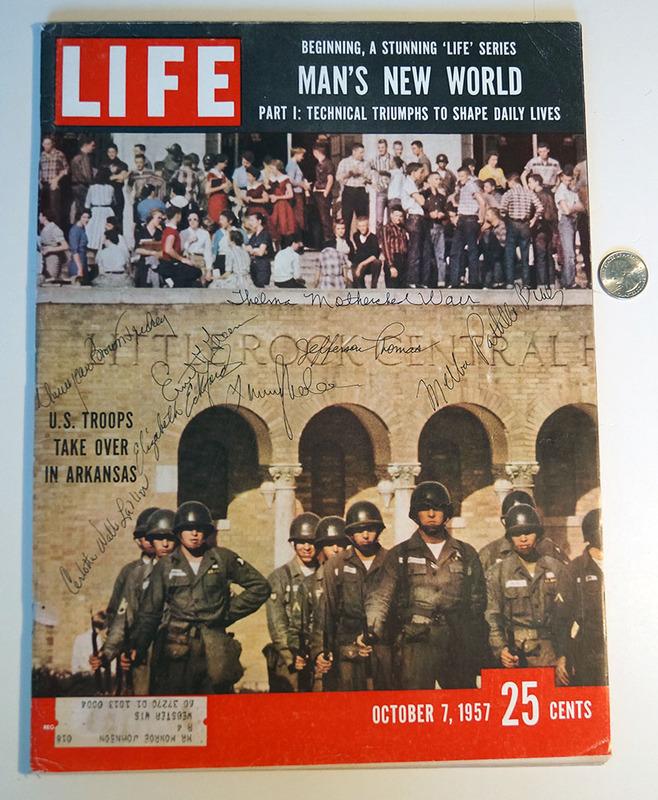 By the end of September 1957, the nine were admitted to Little Rock Central High under the protection of the 101st Airborne Division (and later the Arkansas National Guard), but they were still subjected to a year of physical and verbal abuse (being spat on and called names) by many of the white students. Melba Pattillo had acid thrown into her eyes and also recalled in her book, Warriors Don’t Cry, an incident in which a group of white girls trapped her in a stall in the girls’ washroom and attempted to burn her alive by dropping pieces of flaming paper on her from above. Another one of the students, Minnijean Brown, was verbally confronted and abused. Minnijean Brown was also taunted by members of a group of white male students in December 1957 in the school cafeteria during lunch. She dropped her lunch, a bowl of chili, onto the boys and was suspended for six days. Two months later, after more confrontation, Brown was suspended for the rest of the school year. She transferred to New Lincoln High School in New York City. As depicted in the 1981 made-for-TV docudrama Crisis at Central High, and as mentioned by Melba Pattillo Beals in Warriors Don’t Cry, white students were punished only when their offense was “both egregious and witnessed by an adult”. In the summer of 1958, as the school year was drawing to a close, Faubus decided to petition the decision by the Federal District Court in order to postpone the desegregation of public high schools in Little Rock. 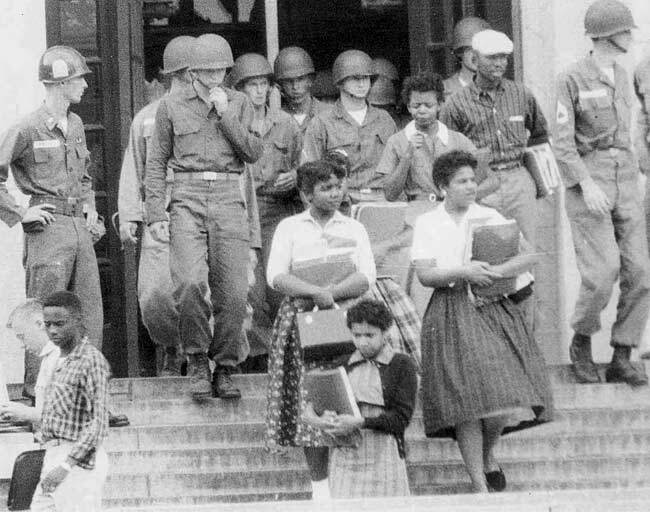 In the Cooper v. Aaron case, the Little Rock School District, under the leadership of Faubus, fought for a two and a half year delay on de-segregation, which would have meant that black students would only be permitted into public high schools in January 1961. 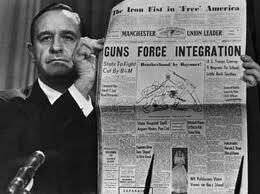 Faubus argued that if the schools remained integrated there would be an increase in violence. However, in August 1958, the Federal Courts ruled against the delay of de-segregation, which incited Faubus to call together an Extraordinary Session of the State Legislature on August 26 in order to enact his segregation bills. Faubus’s victory led to a series of consequences that affected Little Rock society. 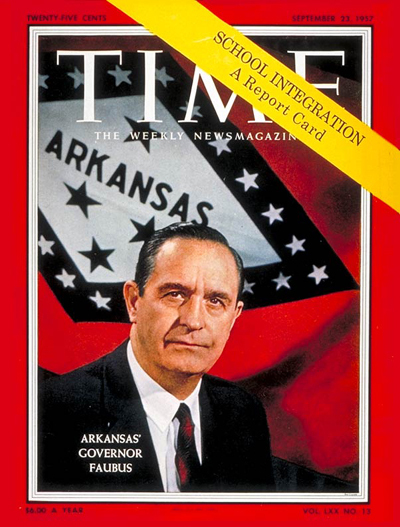 Faubus’s intention to open private schools was denied the same day the referendum took place, which caused some citizens of Little Rock to turn on the black community. The black community became a target for hate crimes since people blamed them for the closing of the schools. Daisy Bates, head of the NAACP chapter in Little Rock, was a primary victim to these crimes, in addition to the black students enrolled at Little Rock Central High School and their families. The town’s teachers were also placed in a difficult position. They were forced to swear loyalty to Faubus’s bills. Even though Faubus’s idea of private schools never played out, the teachers were still expected to attend school every day and prepare for the possibility of their students’ return. The teachers were completely under Faubus’s control and the many months that the school stayed empty only served as a cause for uncertainty in their professional futures. In May 1959, after the firing of forty-four teachers and administrative staff from the four high schools, three segregationist board members were replaced with three moderate ones. The new board members reinstated the forty-four staff members to their positions. The new board of directors then began an attempt to reopen the schools, much to Faubus’s dismay. In order to avoid any further complications, the public high schools were scheduled to open earlier than usual, on August 12, 1959. 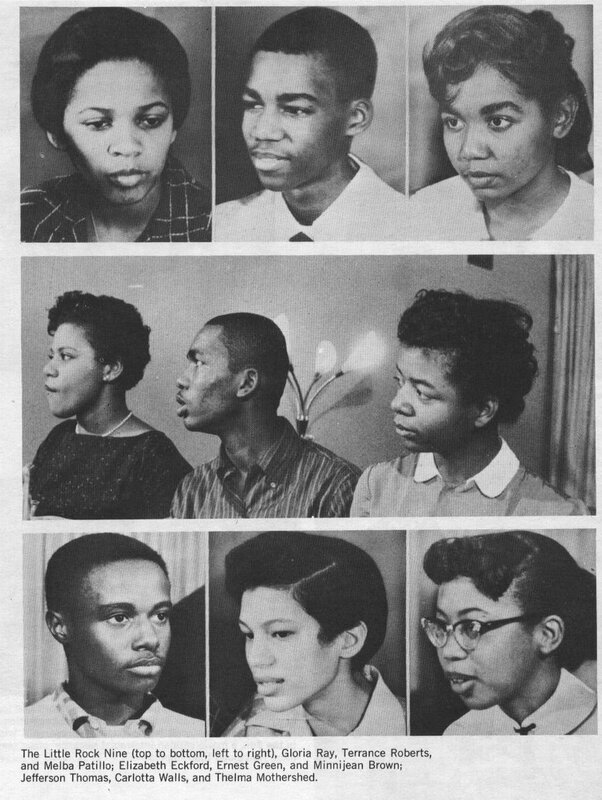 Although the Lost Year had come to a close, the black students who returned to the high schools were not welcomed by the other students. Rather, the black students had a difficult time getting past mobs to enter the school, and, once inside, they were often subject to physical and emotional abuse. The students were back at school and everything would eventually resume normal function, but the Lost Year would be a pretext for new hatred towards the black students in the public high school.